This is such an incredible piece. This was custom handmade and you will never find anything like it again. 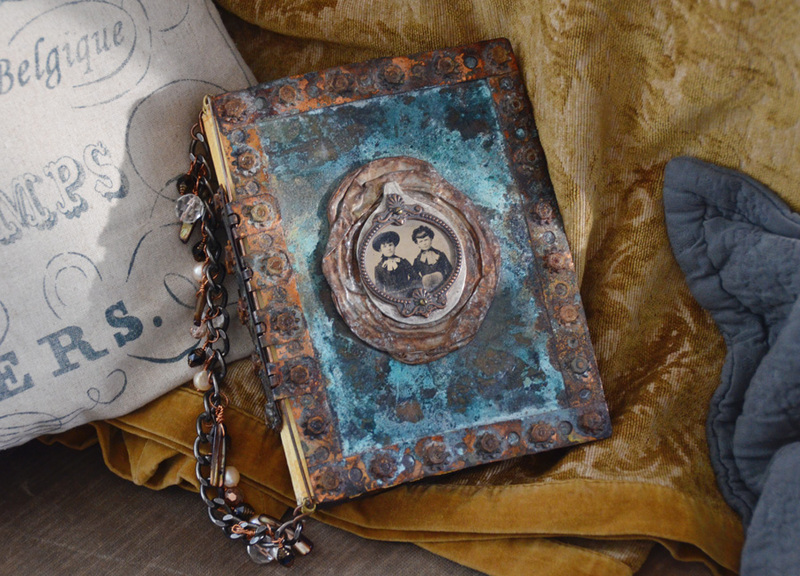 The cover of the book is made of metal and hand died and treated to give it this wonderful look. The patina is just so perfect! 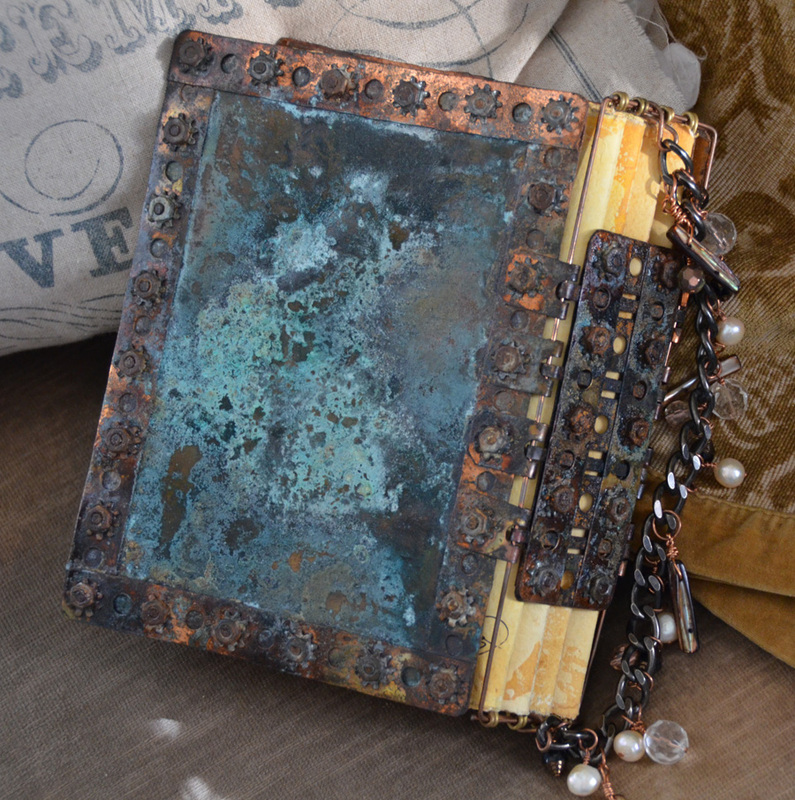 The inside pages are for you to journal on, keep photos in ect... Each page was also hand cut and colored for you. The attention to details on this piece is unsurpassed. 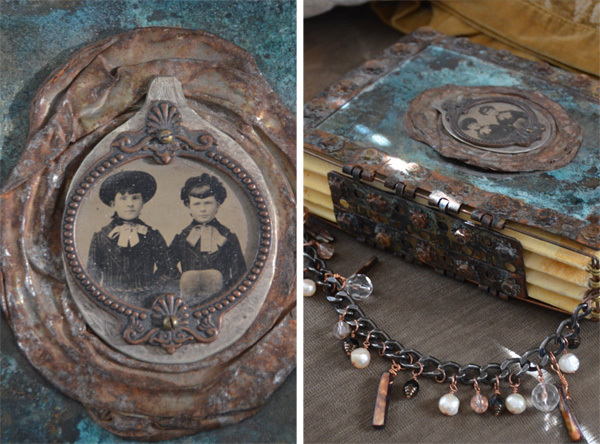 From the tin type of the two girls mounted on an old spoon to each washer and screw, this book was made to be passed down as an heirloom piece.